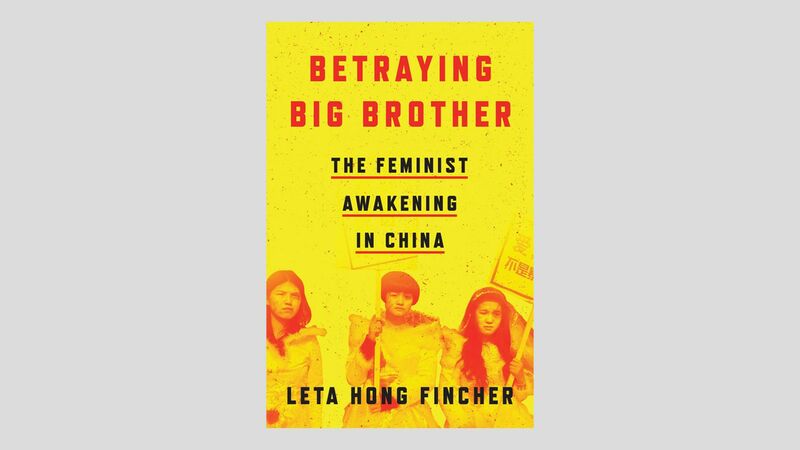 China's #MeToo movement may be fledgling, but it's starting to rise, according to American author Leta Hong Fincher, who recently authored "Betraying Big Brother: The Feminist Awakening in China." Why it matters: The U.S. recently had its 1-year-anniversary of the start of #MeToo, but the global momentum of the movement has had mixed results. China — considered one of the most authoritarian regimes resistant to feminist ideologies — is facing a growing number of women coming forward with stories of abuse or injustice, Hong Fincher tells me. What is the feminist awakening in China? "Even as the Chinese government carries out an unprecedented crackdown on feminist activists, more and more young women in China today are identifying as feminists. Young women increasingly recognize that they don’t have to stay silent about sexual violence or gender discrimination. They are voicing their anger about sexism in Chinese society and seizing on the global momentum of #MeToo to come forward courageously with their own stories of abuse or injustice." Why does the Communist Party see activists for women's rights as threats? "I argue that China’s male leaders see the control of women and their bodies as critical to maintaining their authoritarian rule. The Communist Party reduces women to their roles as reproductive tools for the state, as dutiful wives and baby breeders in the home, to try to boost falling birth rates and prevent social unrest. But the feminist movement shows women they have the right to control their own bodies and they should not have to marry or have babies if they don’t want to. The Chinese government’s crackdown on feminism is a form of state-level, fragile masculinity, terrified at the prospect of angry women rising up across class boundaries to challenge the government’s political legitimacy." The #Metoo movement has come to China, but so far no one too powerful seems to have been affected. Why is that, and do you think that might change? "That the #MeToo movement has already spread so widely across the country is astonishing, given the hostile environment for any kind of social movement. In spite of draconian internet censorship, the lack of press freedoms, and often severe retaliation against prominent #MeToo activists, young women continue to come forward fearlessly to demand change. In just one example of the retaliation some activists face, police detained the #MeToo activist and recent graduate of Peking University, Yue Xin, for trying to unionize workers, and she has been missing for over six weeks. It’s possible that some women have already tried to go public about abuse by powerful Communist Party officials but the news has been muzzled so we don’t know about it." What do you see as the prospects for advancing women's rights and equality on China? "I am deeply inspired by the bravery and determination of so many young women standing up for their rights. They are taking on the world’s most powerful authoritarian regime, which sees the subjugation of women as critical to its own political survival. The backlash against feminism will likely intensify as China’s economic growth slows even further, the workforce shrinks, the population ages, and the battle for Communist Party survival becomes more fraught. But I also believe the women’s rights movement is potentially China’s most transformative social movement since 1989 and it will be extremely difficult for the government to wipe it out because it is so popular." Do you think China’s women’s rights movement will have any effect on the rest of the world? "We are living in very perilous times not just in China but in the United States and elsewhere, with the rise of strongman authoritarianism threatening democracies around the world. The United States is ceding its global leadership role to a newly assertive China, while misogynistic autocrats bent on rolling back women’s rights have been emboldened in many countries from Russia and Hungary to the Philippines and Saudi Arabia. I believe the solution lies in supporting feminist activists in authoritarian countries around the world. We have a lot to learn from Chinese feminist activists and we must fight for women’s rights and freedom from patriarchal oppression everywhere." Morgan interviewed Trump on the heels of his trip to Davos. Screengrab via Good Morning Britain on YouTube. President Trump told Piers Morgan in an interview which aired Sunday that he's willing to apologize for retweeting anti-Muslim hate videos from Britain First — a far-right ultranationalist political group. “If you are telling me they’re horrible people, horrible, racist people, I would certainly apologize if you’d like me to do that," Trump said. On elephant hunting: Trump called the U.S. Fish and Wildlife Services decision to reverse an Obama-era ban on bringing elephant hunting trophies back to the U.S. a "terrible" one. "The ice caps were going to melt, they were going to be gone by now, but now they're setting records," Trump said. Reality check: "Ice on the ocean and on land are both disappearing rapidly, Jennifer Francis, a Rutgers University climate scientist, told the AP. On tweeting: Trump sends tweets "[p]erhaps sometimes in bed, perhaps sometimes at breakfast or lunch ... I don't call it tweeting, I call it social media."